Have you become a slave to your cravings? Are you exhausted of stressing about food? Do you have read every diet book imaginable, but feel more confused than ever? I've been there and I know how frustrating and overwhelming it can be. I suffered from anxiety, panic, adrenal fatigue, food intolerances, and auto-immune disease. I thought food was going to heal me. I searched for the "perfect" diet, and the stress made me more and more sick. For years, I couldn't see out of that bubble. Then I discovered some powerful tools that helped me take back my power, drop my food anxiety, bust through cravings, and finally make peace with food. Now I eat intuitively. I enjoy an array of my favorite foods, based on my personal biological needs. I'm not a slave to high stimulant food anymore. I have finally found balance and freedom from diet stress! The holidays are a time when a lot of our emotional eating habits get triggered. 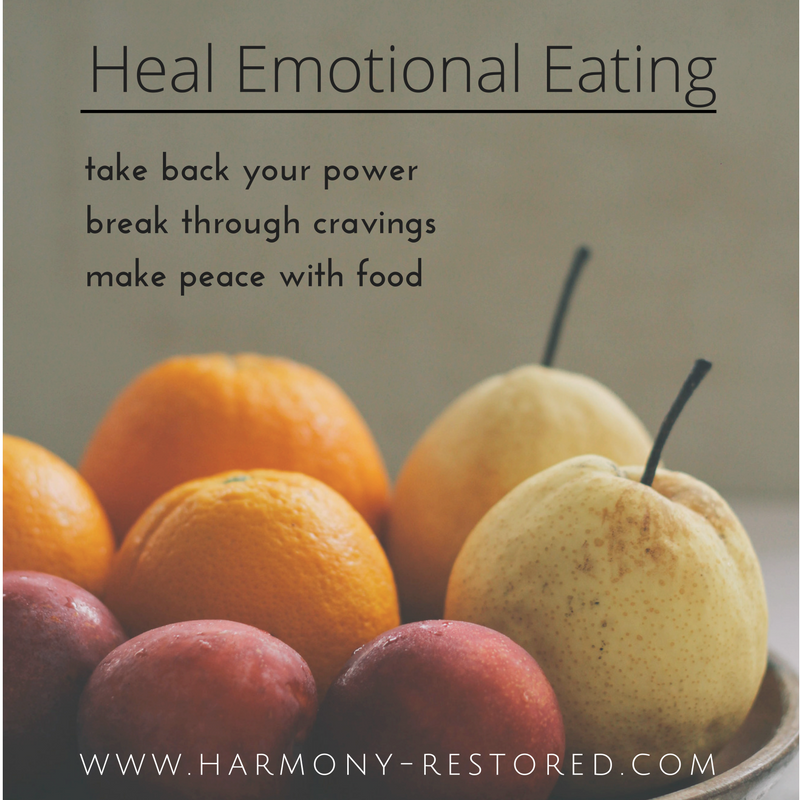 So, join me for a relaxing and healing evening while I give you powerful tools for overcoming emotional eating and cravings. As a mother to 3 children, Megan Buer struggled for years with Hashimoto’s disease, adrenal fatigue, sugar addiction, food intolerances, panic, and anxiety. She went on a journey of health and discovery – spending over 10 years researching, experimenting, and finally figuring out all the unique tools she needed to naturally heal herself. Megan shares her knowledge and healing gifts in private practice and online. She is a certified Emotion Code practitioner, Reiki healer, wellness coach, author, and blogger. Megan's mission is to take the fear and overwhelm out of health. She is passionate about simplifying your healing journey, empowering you with the tools needed for health, and get you thriving again! Megan works with clients remotely full time, educates, speaks, and writes. She is also a part of the health team at Revolution Health Center in Virginia.